It’s been a long road but there are people who stood out all along the way. 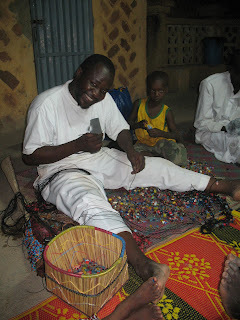 Here’s my tribute to the following people at Farafina Tigne who made the Hallmark bogolan bag project happen. Peace Corps Baba – what else is there to say? Without his energy and enthusiasm everyday, the team couldn’t have stayed together. With his confidence boosters and his ever famous, “Do you see it?”, we made it! Sembe, Farafina Tigne’s manager. 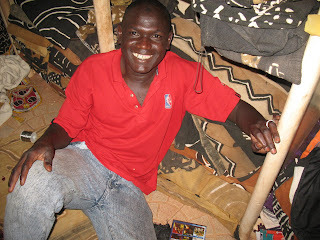 His diligence to working on Quality Control and eventually managing the Mopti workshop paid off. Amadou Cisse. 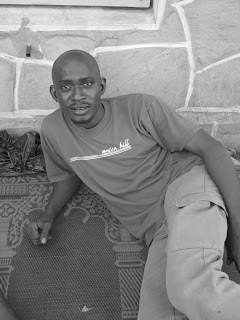 This is Baba’s little brother who’s in charge of money for Farafina Tigne. Without him and his endless trips to the bank to get ‘the sauce,’ we couldn’t have paid any of the tailors or other expenses. Just because he’s resting on top of our bags ready to be shipped to Bamako, doesn’t mean that he didn’t work hard the rest of the time. Baba Fima is PC Baba’s apprentice who fills in for Baba when he’s away. On his two trips to America, PC Baba left Baba Fima in charge of going to Bamako and dealing with the final leg of the packaging and shipping of the bags. Trips Sunday through Thursday to Bamako 3 and 4 weeks in a row aren’t easy for anyone, but he made it through. 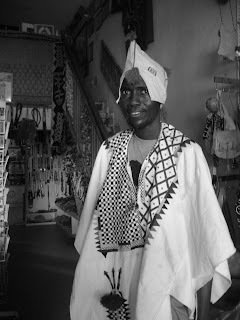 Alpha Toure, the best tailor in all of Sevaré. Alpha gave us the idea to set up our own workshop and get a production/assembly line started. He also worked all day at his own shop and joined the team of Farafina Tigne every night from 6PM until 4AM to help out. Talk about dedication. He’s also my tailor who does the best job, ever! Bozo, called that after his ethnic group, was a lifesaver. Constantly running up and down the stairs with bogolan bags in hand, there was never 5 minutes that passed without hearing someone scream, “BOZO!! !” An all around good guy, Bozo’s time and investment into the project have been wonderful. 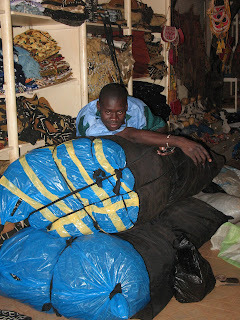 Thanks to everyone in San, Mopti and Sevaré who produced and helped to create the final version of our bags. 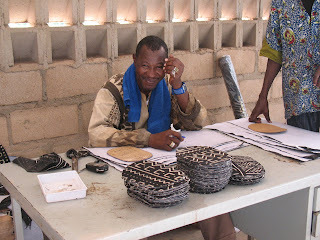 Thanks to Vina and Mali Chic in Bamako for dealing with Malian customs and ministries to get all of our packages out in a timely manner and for all of their “ground support” when we couldn’t be there. It’s been a crazy ride. Stay tuned for Hallmark bogolan bag publicity and websites/information. It’s definitely forthcoming!